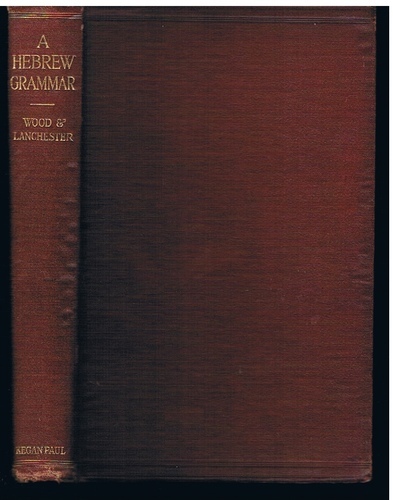 A Hebrew Grammar. with an appendix on the Hebrew Vowel System taken from Lecture-Notes by Professor Kennett. Second Edition revised. A good, clean, tight copy. 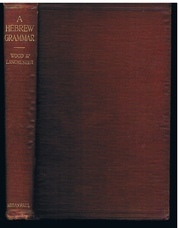 ; First published in 1913, second edition 1920. "Admirably supplements [Davidson's Grammar]", "The authors have arranged their material well; the exercises are admirable; and the whole scheme of the book is excellently fitted to introduce students to an intelligent study of the Old Testament." (Expository Times, 1913). A number of works by eminent Egyptologist E A Wallis Budge advertised in back.